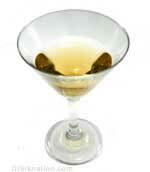 This recipe was Drink of the Week on 2005-01-16. Check out the review! Shake ingredients in a cocktail shaker with cracked ice. Strain into cocktail glass. There aren't any comments for Apple Judy yet. Why not mix one up and be the first to leave your thoughts?